Moving terminology can sometimes be confusing to the average consumer. Since you should never sign anything without fully understanding the terms and conditions, we have put together a glossary of terms to make it easier on you. Accessorial (Additional) Services – services such as packing, unpacking, or shuttle service that you request to be performed (or are necessary because of landlord requirements or other special circumstances). Charges for these services are in addition to transportation charges. Advanced Charges – charges for services not performed by the mover but instead by a professional, craftsman, or other third party at your request. 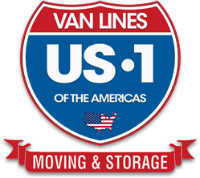 The charges for these services are paid for by the mover and added to your bill of lading charges. Bill of Lading – the receipt for your goods and the contract for their transportation. It is your responsibility to understand the bill of lading before you sign it. If you do not agree with something on the bill of lading, do not sign it until you are satisfied that it is correct. Be sure to keep a copy of your bill of lading for your own records. It is a very important document. Binding/Non-Binding Estimate – a binding estimate is an agreement made in advance with the mover that guarantees the total cost of the move based on the qualities and services shown on the estimate. A non-binding estimate is the carrier’s approximation of the cost based on the estimated weight of the shipment and the accessorial services requested. A non-binding estimate is not binding the carrier and the final charges will be based on the actual weight and tariff provisions in effect. Guaranteed Pickup and Delivery Service – an additional level of services whereby dates of services are guaranteed, with the mover providing reimbursement for delays. This premium service is often subject to minimum weight requirements. High Value Article – items included in a shipment that are valued at more than $100 per pound. These items should be disclosed to the mover to ensure that they are protected accordingly. Inventory – the detailed, descriptive list of your household goods showing the number and condition of each item. Transportation Charges – charges for the vehicle transportation portion of your move. These charges apply in addition to the additional service charges. Order for Service – the document authorizing the mover to transport your goods. Pickup and Delivery Charges – separate transportation charges applicable for transporting your shipment between the warehouse and your residence. Shuttle Service – Use of smaller vehicle to provide service to residences that are not accessible by the mover’s normal line haul equipment (larger moving vans). Storage-in-Transit (SIT) – temporary warehouse storage of your goods pending further transportation; for example, if your new home is not quite ready to occupy. Added charges for SIT service and final delivery charges from warehouse will apply. Valuation – the degree of worth of a shipment. The valuation charge that you are assessed compensates the mover for assuming a greater degree of liability than that provided in the base transportation charges.